1. A black feature wall makes a dramatic statement in this dining area. See more photos of this home, here. Designed by I/O architects. Photography by Assen Emilov. 2. 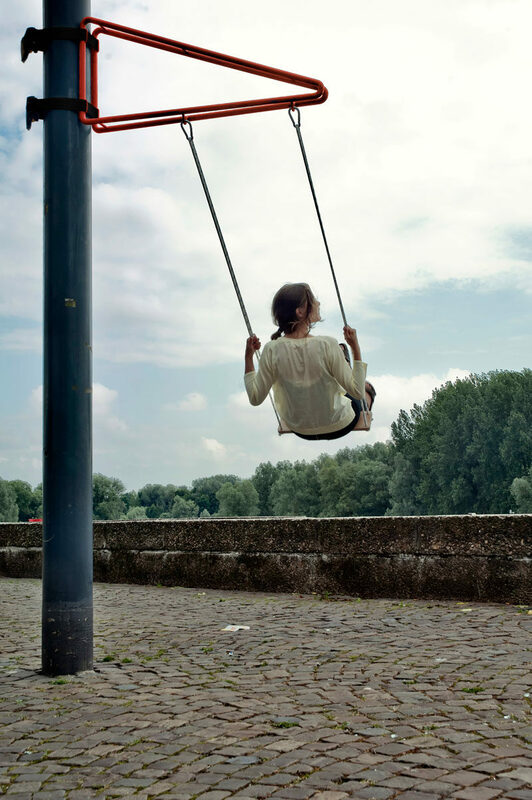 This swing design is portable so that you can hang from trees or poles whenever and wherever you like. See more photos of this swing, here. Designed by Thor ter Kulve for Weltevree. 3. 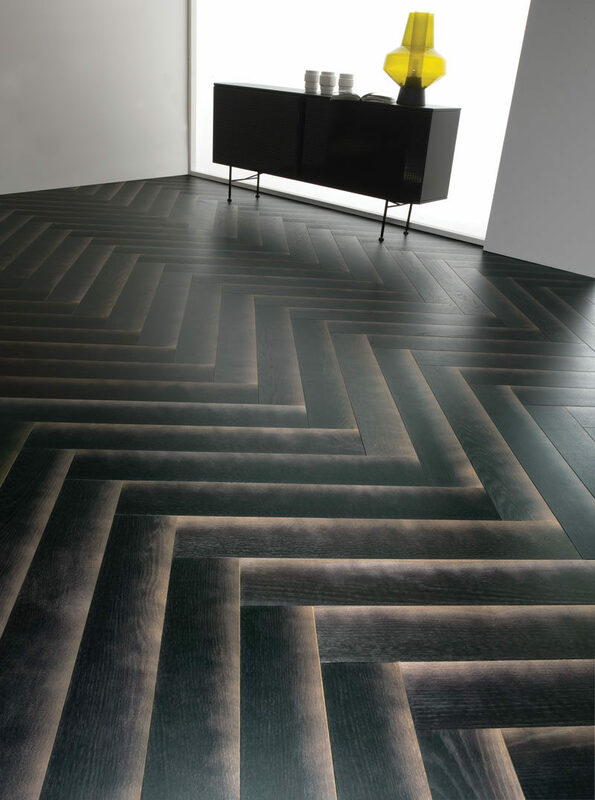 This black wood flooring is designed to have a gradient shadow. See more photos of this flooring, here. Designed by DIESEL LIVING and BERTI. 4. 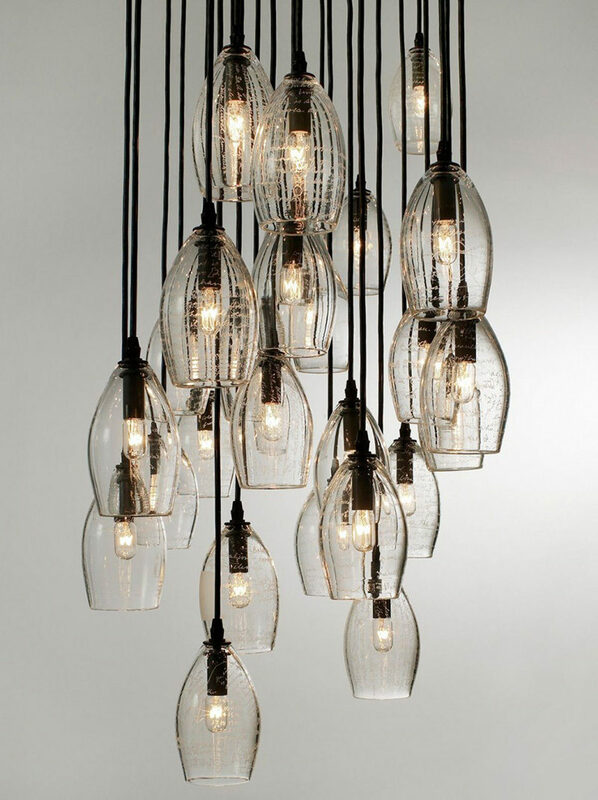 Each of the glass shades on this chandelier have words written on them. 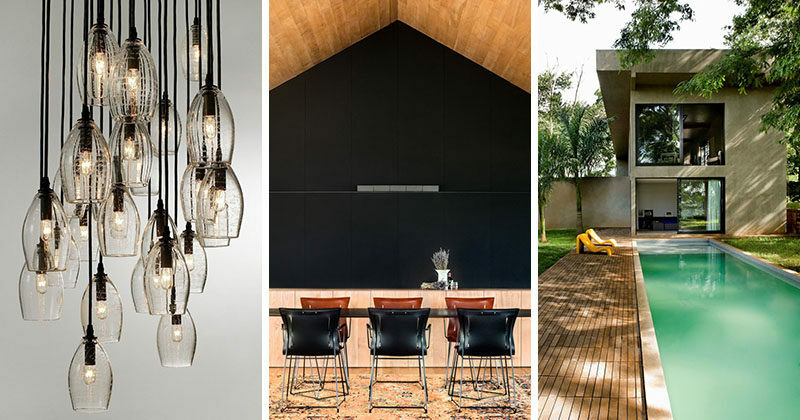 See more photos of contemporary chandeliers, here. Designed by Alison Berger. 5. 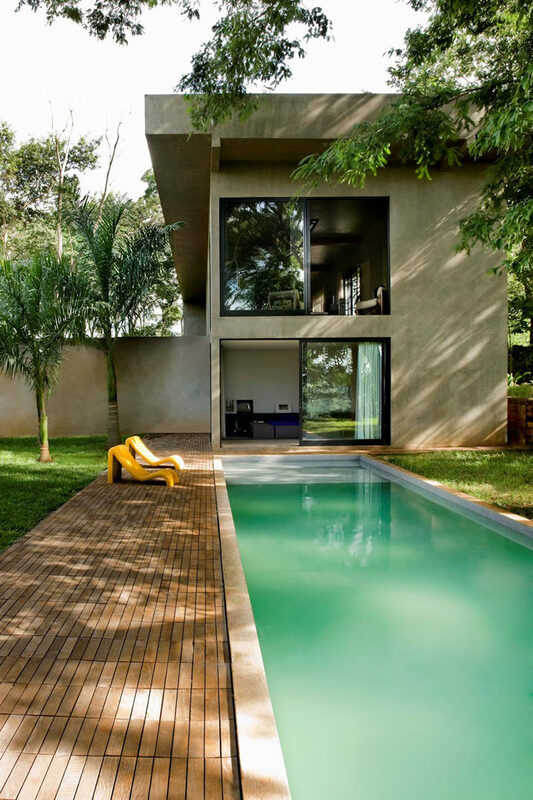 Architect Leo Romano has designed Casa Da Caixa Vermelh, a home surrounded by trees in Goiânia, Brazil. See more photos of this home, here. Designed by Leo Romano. Photography by Edgard César.